Jalandhar: Group President of Mahindra and Mahindra Ltd (HR, After-Market and Corporate Services) Rajeev Dubey reached Lovely Professional University, today, and guided LPU students how to be efficient leaders of tomorrow. Through his marvellous presentation titled “Creating Tomorrow’s Leaders”, Mr Dubey took several examples from his personal illustrious life, quotes of important persons, and explained in details how students can imbibe great qualities to have a rising career ahead. During interactive session with the students, Mr Dubey made befitting answers to the queries of students in regard to human resource profession, forthcoming dominance of electric vehicles, focusing, and corporate social responsibility in true sense of the words. Addressing students, Mr Dubey explained: “There is a vast potential in every human being. The need is how to really ignite that untapped potential which lies latent in individuals and in groups. We should have trust upon others and institutions so that it may act as a multiplier of human energy and passion.” Sharing about top strengths to be efficient leader, he said: “Always have a genuine understanding and respect for people around you. I personally see potential for growth in every situation and in every person. Moreover, connecting with people to create trust and hope in any situation is most important for me. The alignment between thinking, saying and doing consistently over time in a positive manner will certainly develop credibility.” He also asked students to be always humane and to learn from their earlier failures to rise greatly in next phase of their life. Prior to this, M Dubey was accorded floral welcome at the campus by LPU Chancellor Mr Ashok Mittal, Pro Chancellor Mrs Rashmi Mittal, Executive Deans Dr Sanjay Modi, Dr Lovi Raj Gupta and student groups. 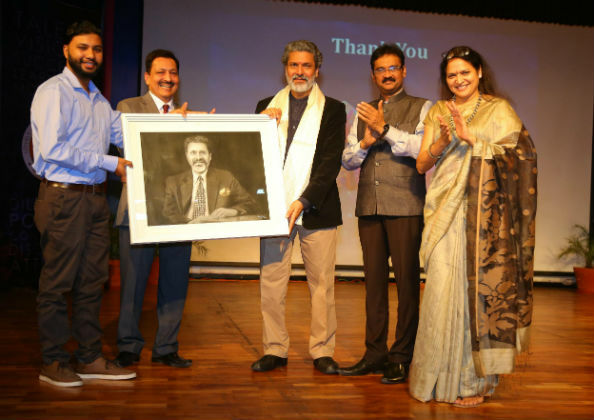 One of the MBA students Naren Walia also presented a Charcoal Painting of Mr Dubey created by himself within an hour of Mr Dubey’ being present at LPU Campus with great words of ever inspiration. An MBA from the Yale School of Management, USA, Rajeev Dubey joined Mahindra & Mahindra Ltd after a career spanning 29 years in the Tata Group. 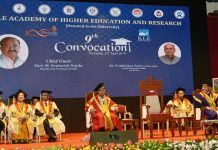 Presently, Mr Dubey is associated in his professional capacity with a number of prestigious Institutes and Committees, nationally and internationally. The US $6 billion Mahindra Group is on Forbes’ top list internationally, and among the top 10 industrial houses in India. Mahindra is the only Indian company among the top tractor brands in the world. The Group has a leading presence in key sectors of the Indian economy, including the financial services, trade and logistics, automotive components, information technology, and infrastructure development.